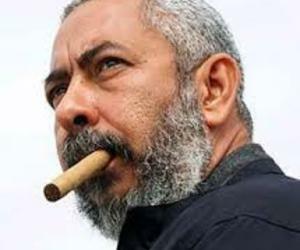 The writer Leonardo Padura has held talks with cultural authorities of Cuba to film Return to Ithaca, of which he is a screenwriter, can be projected on the film circuit of the country. This film was excluded from the recent Film Festival in Havana. The ICAIC was the institution that decided at the last minute draw Return to Ithaca from the program of the Festival, held in Havana from December 4 to 14, saying it could not be included in any of the categories of the contest and that no longer existed category of foreign films on Latin American issues. Return to Ithaca, by French director Laurent Cantet, is based on an episode of The Novel of My Life (2001) by Padura, who took adapt the screenplay for the film, which addresses the issue of a Cuban forced exile and the final return to his homeland after 16 years of absence. "It's a film about many essential problems of contemporary Cuba," said the writer. Its removal from the festival program caused controversy and this weekend a group of Cuban filmmakers issued a letter denouncing censorship of Cantet's film. "An act of censorship took place during the 36th International Festival of New Latin American Cinema: by imposing the highest authorities of the Ministry of Culture and the ICAIC, the Festival was forced to withdraw," say in the letter. The letter is sign by 12 filmmakers, including directors as Fernando Perez, Manuel Perez, Ernesto Daranas and Enrique Alvarez, the filmmaker Rebeca Chávez and screenwriters Senel Paz and Arturo Arango, all belonging to the so-called G-20. The director of the film, Laurent Cantet, responded to this letter with another statement in which he thanked this support and said he was thrilled with the reaction raised on the island.